Encourage guests to place suitcases and other belongings on stylish luggage racks that can easily fit in closets or by the side of the bed. 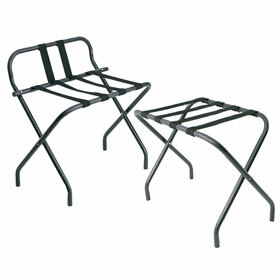 Luggage racks alleviate guest's worry of bed bugs or other insects that may be on the ground level. 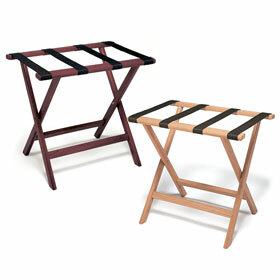 Choose from three rack finishes: chrome stainless steel, powder coated steel, and wood. 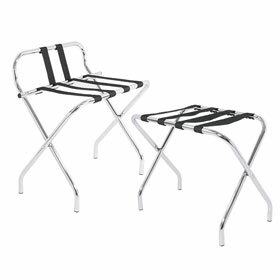 Equipped with or without a back for more support and protection against falling luggage.